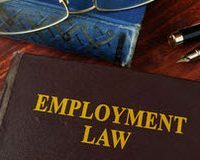 Every Florida employer needs to be mindful of their duties and responsibilities under federal and state employment discrimination laws. For example, under the Americans With Disabilities Act (ADA) a business may face EEOC charges or a private lawsuit if they fail to make “reasonable accommodation” for an employee’s documented physical or mental impairment. But employees must also understand that what is “reasonable” may not necessarily reflect their personal preference for a particular type of accommodation. Do You Have to Allow a Disabled Employee to Telecommute? In order to be protected under the ADA, the employee must still be able to perform the “essential functions” of their job – with or without an accommodation. In other words, if granting a requested accommodation would not enable the employee to perform the essential functions of the position, the employer is not typically legally required to make the accommodation. And even if the employer does grant some accommodation, it need not be exactly the one requested. Here is an illustration of how these principles work in practice. In January 2018, a federal judge in Tampa dismissed a disability discrimination lawsuit in the case of SUSAN MORRIS-HUSE, Plaintiff, v. GEICO, Defendant brought by a claims supervisor at a well-known insurance company. The plaintiff suffers from Meniere’s Disease, an inner-ear disorder that causes frequent attacks of vertigo, dizziness, and imbalance. The plaintiff’s treating physician said she was still able to work full-time despite her condition, but she could not drive long distances or walk up or down stairs. The doctor advised the plaintiff would benefit from telecommuting, i.e. working from home via a remote connection. The insurance company refused this accommodation. The company did make other accommodations, such as allowing her to take breaks during the day and providing assistance with her commute via a ride-sharing program. But the plaintiff maintained these accommodations were insufficient. She ultimately filed a complaint with the EEOC, which authorized her to file a private lawsuit against the company. The judge granted summary judgment to the insurance company, however, agreeing with its conclusion that it was not required to allow the plaintiff to telecommute. Given the plaintiff held a supervisory position, her “physical presence” in the office was an “essential function” of the job. The judge credited the company’s explanation that supervisors had to conduct daily meetings and use software to monitor employees in “real time,” and that neither of these things could be done from the plaintiff’s home. Whether or not a particular job function is “essential” is determined by a court on a case-by-case basis. This is why Florida employers should be careful in wording their job descriptions, as well as ensuring their employee handbooks outline the procedures for requesting a “reasonable accommodation” under the ADA. It is always advisable that employers engage in an interactive process in response to an employee’s request for a reasonable accommodation to see if the accommodation can be granted, even if the employer is concerned that the employee may not be able to perform the essential functions of the job. If you have any questions or concerns in this area and need legal advice, you should contact an experienced Florida employment law attorney today.